Coupons valid until October 13, 2019. May redeem multiple coupons per person. Use the redemption code next to the QR code to register for your course. For more info contact info@ceo-onlinecourses.com or enquiries@coecourses.com. No Cancellation. No carry over. VAT included in price. Standard terms & conditions apply. 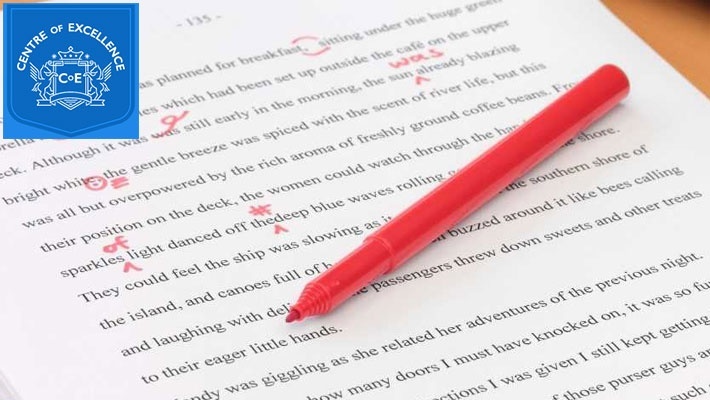 Learn how to proofread and edit copy so that it is ready for publication. Benefit from 92% off Online Proofreading & Editing Diploma Course from Center of Excellence, only $10 instead of $127. Learn anything, anywhere with Center of Excellence! Center of Excellence's aim is to help individuals to achieve excellence in every area of their life via quality distance learning training courses. Whether you're looking to learn a new skill or to gain a qualification for a new career, Centre of Excellence Online can help you to achieve your goals and get to where you want to be. They are here to help you; and to help you help others - by setting standards high and offering a range of affordable online training courses aimed at helping you get the skills, training and qualifications that you want. Their reputation has thrived by word of mouth; they couldn't ask for a better way to inform every one of the many benefits that online training can bring. Whether you decide to study from home, from work or from wherever you choose, there are no deadlines for completing your work so you can study in your own time at your own pace. With over 100 different flexible courses to choose from, they're sure you'll find something to fulfill your needs. Center of Excellence knows that studying from home sometimes requires extra willpower, they want you to know that you're not alone. They offer full tutor support on all of the courses, so feel free to email or call your tutor if you have any questions throughout your course.